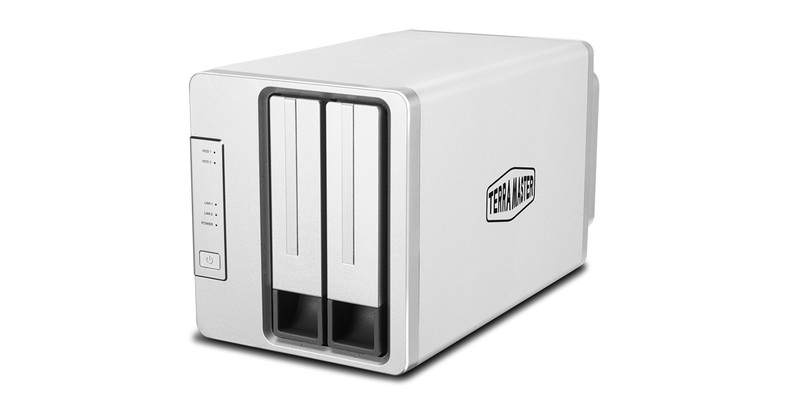 The TerraMaster F2-420 2-Bay NAS Server is a diskless model that is priced at $299.99 shipped and backed by a 2-year warranty. This is your basic RAID 0/1/JBOD 2-bay NAS that is designed for home or small business use. It is powered by the Intel Celeron J1900 ‘Bay Trail’ Quad-Core CPU at 1.99GHz and has 4GB of DDR3 RAM (can be upgraded to 8GB if needed) and features 2 Gigabit LAN ports. Read on to see how it performs! First thing, most home users will not spend $200, or even near it to protect their $300 laptop ;) Trust me, I keep telling people to get backup as they lose hard drives with their pictures that cant be recovered and they still say no, it's not worth it. I love these little 2 drive setups though! I wish they could get them to include maybe 2 1tb drives (RED or NAS drives not cheap crap) and have them around the $200 mark. I know I am dreaming but it would be a lot easier sell for people who think a single external hard drive is just awesome protection (do schools not teach anything about computers anymore and just focus on programming and using?) when they buy cheap crap laptops and desktops because they can't afford anything else, even though they have multiple houses in multiple states (sigh). Oh well, as prices for the drives drop maybe someone will be able to start getting closer o the price point that people may pay. I have lost track of the number of people that have brought me a PC to fix that didn't even make a recovery drive, let alone backup anything up. Most I see lately is pushing cloud backup. Hell most that I know that use iPhone have the 50GB iCloud and between their iPhone and iPad dont have/want/need a standard PC/Laptop. Those that still have a traditional PC use cheap-o externals to backup with. Only people I know that are interested in home a NAS setup is tech types that have LOADs of data to store.